The ISD-B1920 is an advanced progressive scan, fully programmable CCD camera designed for imaging applications that require high quality images, powerful features and flexibility. The camera has a small size, is light weight, and built around Kodak´s KAI-2093 7.4 micron Interline Transfer CCD image sensor with a 1” optical format. The ISD-B1920 provides an image resolution of 1920 x 1080 and delivers 25/30 frames per second at full resolution. 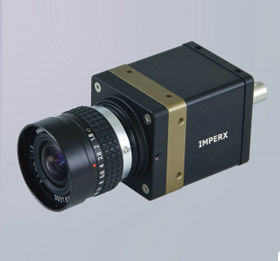 The camera’s 14 bit internal data image processing engine is based on an industrial grade high-speed, high-density FPGA, enabling a broad standard feature set and easy implementation of demanding custom imaging solutions. The thermally optimized, mechanical and electrical design plus the extended operating temperature range (-40°C to +85°C), and high MTBF of 660,000 hrs @ 40C, make this camera a perfect fit for the most demanding industrial, medical, scientific and military applications.